Harvard University is internationally known as one of the most prestigious universities in the United States, if not the world. From students to maintenance workers, any affiliation with the school is immediately recognized with prominence. This type of perception only comes with a long and important history, one that Harvard most certainly has. Founded in 1636, Harvard University, originally called ‘New College,’ is the oldest institution of higher education in the United States. It originated as an undergraduate school for training clergymen, as Massachusetts was heavily populated with Puritan citizens. That year, the Great and General Court of the Massachusetts Bay Colony voted to establish the school, which seemed to be a prestigious institution from the beginning. They received the only printing press in North America in 1638, which remained the lone source of printing until Harvard gained a second one in 1659. In 1937, the land that would become Harvard Yard – the epicenter of campus life – was purchased. Two years later, the school would receive its current name. It was named after the college’s first benefactor, John Harvard, a clergyman who donated half of his estate and his library, a collection of 400 books. A statue of him sits in Harvard Yard, one of the best-known landmarks throughout the entire campus. Puritan clergyman Henry Dunster was appointed the first president in 1640. For some time, he not only oversaw the entire college, but he also taught classes and developed curriculum for all courses. He created controversy in his religious views with the Puritan community, but he is generally regarded as an important figure whose intelligence was needed to start the school and hold the institution together in difficult financial times. In 1942, Dunster held the college’s first commencement ceremony, with a total of nine graduates. Moving into the 18th century, Harvard College – it would be recognized as a university in 1780 –continued to grow and soon began to produce graduates of great importance. In 1776, eight alumni were signers of the Declaration of Independence. Eight US Presidents have attended one of the schools, and 13 have received honorary degrees. The famous Harvard shield was designed in 1836, with the current motto ‘VERITAS,’ meaning truth. While the institution had been developed by Puritans to train clergymen, it quickly expanded into the multiple colleges that exist today. 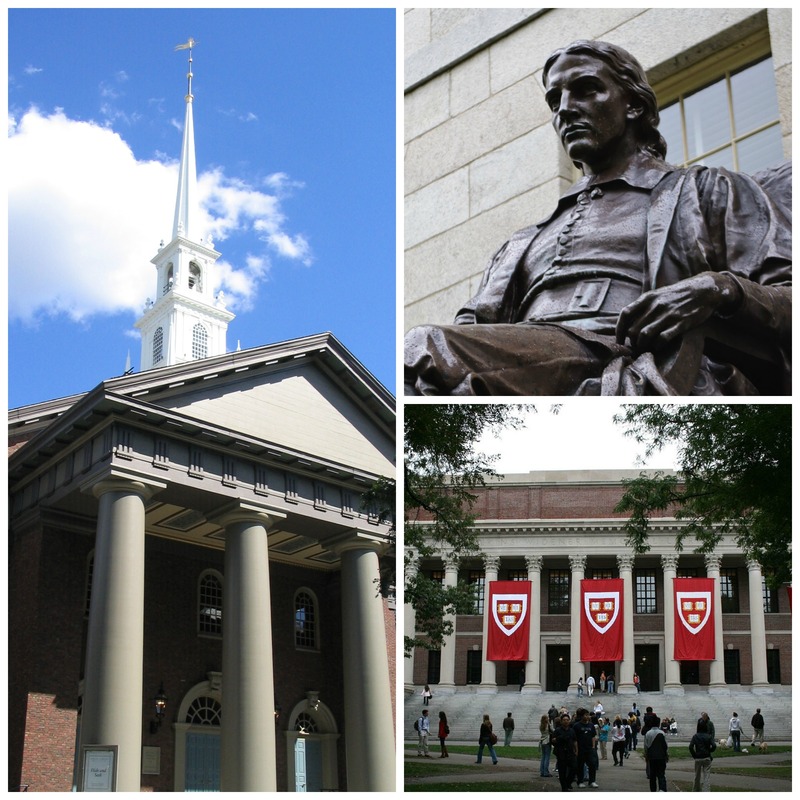 Harvard’s first graduate school was established in 1782, the school of medicine. Today, the university is comprised of Harvard College, 12 degree-granting graduate schools, and the Radcliffe Institute for Advanced Studies. Over 20,000 students attend the university each year, and the school stands as the 5th highest employer in Massachusetts. The current president, Drew Faust, was inaugurated in 2007, and since then, she has increased financial aid, promoted diversity and inclusion, and incorporated major sustainability goals for the college.